The civil war is about to begin. 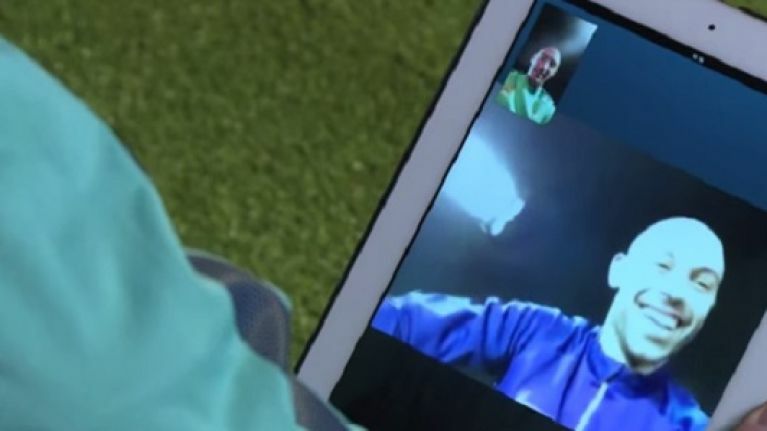 Javier Mascherano and Pablo Zabaleta might look like buddies in this friendly Skype call they shared ahead of tomorrow's Champions League clash but, come 7.45pm on Tuesday, they'll be wearing different colours. The Argentine players got to chatting before Barcelona's visit to the Etihad and there were a few coy questions and answers scattered throughout a generally good-craic call. After the trusty, old connection let them down initially, the pair begin to talk each other up. Mascherano reckons Pablo's attacking play at City has gotten his compatriot to thinking that he's now a winger rather than a full back whilst the former Liverpool star admitted that he's not sure what his position is anymore. Zabaleta says he'll not have time to get forward, what with the like of Messi and Neymar and them clowns running around for the other team and, as close as the pair seem, they're not giving much away to each other either. It's worth checking this video out. Tuesday's game is being shown on TV3 (7.30pm) with Gaizka Mendieta and Kevin Kilbane analysing the clash.